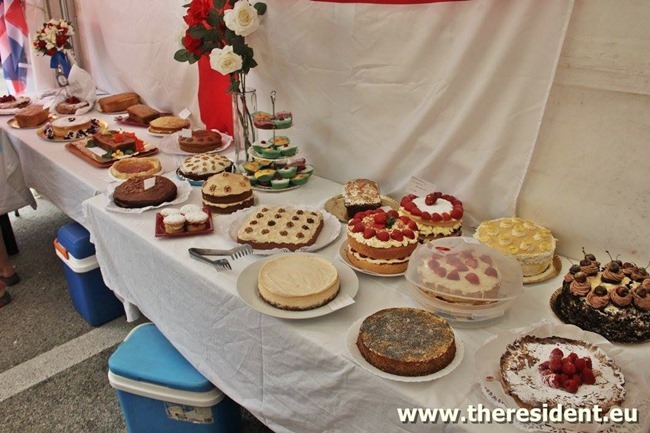 The Duquesa Charitable Society of St George would like to offer a heartfelt thank you to all you wonderful bakers who supported ‘Manilva’s Great British Bakeoff’ at the International Day last Saturday 27th May – we couldn’t have done it without you. Not only did you thrill us with your generosity and wow the general public with your delicious bakes – there was barely a slice left at the end of the day -, you also raised over 400 € for the charity’s Feed A Child project. The Saint George Charity would also like to congratulate Sophie Dolan for producing the winning cake amongst some exceptional competition. We look forward to working with you and your friends next year when we will introduce more prize winning categories to the competition. Duquesa Society of St George Copyright © 2019.